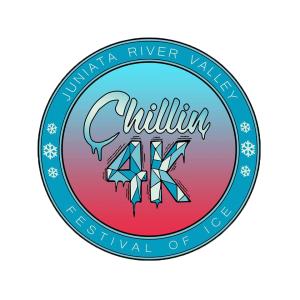 Chillin 4K in conjunction with the Festival of Ice in Downtown Lewistown. 4K Entry Fee: $15.00 Preregistered by Nov. 20th $20.00 afterward. Kids 13 and under $10 by Nov. 20th $15 afterward. Course: Start and finish Downtown Lewistown. Mostly flat course on partially lighted streets and Rec Park, short dirt section.